A lot of websites and even a number of written books claims that spaced armor is mainly designed to deal with shaped charge weapons such as high-explosive anti-tank (HEAT) ammo, anti-tank missiles and rocket-propelled grenades (RPGs). However in many cases spaced armor is designed to deal with armor-piercing ammunitions such as AP and APDS rounds mainly. This already started during WW2, when spaced armor was first introduced on German Panzerkampfwagen III and IV tanks. The Panzerkampfwagen III Ausf. L received spaced frontal armor by adding a 20 mm steel plate at the hull superstructure and the gun mantlet. This first steel layer was designed to damage or shatter the caps of APCBC ammunition, so that the face-hardned main armor was more effective. In a slightly different form, but still mainly designed to deal with AP ammunition (to be more exact, to deal with 14.5 mm anti-tank rifles), spaced armor was adopted on the late-model Panzerkampfwagen III and IV as Schürzen. A thin 5 mm steel plate or on later models wire mesh was designed to tumble the 14.5 mm AP round, so that it would have a greater cross-section upon impact at the main armor (and hence a lower penetration into the armor). While not adopted on follow-up production tanks in the late 1940s and 1950s, spaced armor was still tested and reintroduced to modern tank design in the late 1960s and early 1970s. In an attempt of accessing the usefullness of shaped charges against future heavy tanks, the British army decided to trial spaced armor as upgrade option for the Conqueror heavy tank. The armor consisted of 14 mm thick steel plates of I.T.100 steel mounted on 4 to 8 inches (102 mm to 204 mm) long spacers made of mild steel. The spacers used on the hull had a length of 5.75 inches (146 mm). Furthermore a 20 mm thick steel plate was welded onto the main glacis armor. Six missiles were fired onto the tank (5 American Dart missiles and 1 Malkara), of which only one Dart missile failed to penetrate. All other missiles caused enough damage to kill at least the crew members in the splinter cone. Meanwhile Germany and the United States were together working on a new main battle tank, known as the MBT-70. The MBT-70 was fitted with spaced armor at the hull front and turret, which used a thicker and harder outer plate than the previously mentioned designs. According to R. M. Ogorkiewicz, the outer plate had a thickness of 40 mm and had a hardness of over 500 BHN, or about twice as much as used on the then-used cast steel turrets. The main armor had greater thickness, but only medium hardness. The outer plate served as disruptor - it's main goal was to shatter or break the impacting penetrator instead of slowing it down by any major amount. This was extremely effective until the late 1970s and early 1980s, because most penetrators used brittle tungsten-carbide cores or steel cores. Supposedly against such ammunition, spaced steel armor utilizing steel plates of different hardness can increase the protection by up to 50% compared to homogenous steel of the same weight. At least it has been claimed by W. J. Spielberger, that the MBT-70 was protected against 105 mm APDS ammunition fired from 800 m distance, while the same ammunition was able to penetrate the 254 mm thick turret of the M60A1 tank even at 1,500 m range - the MBT-70 was designed to weigh 46 metric tons, but in reality ended up 48 metric tons (second generation prototypes), whereas the M60A1 weighs 52 metric tons! This armor design went - after being used on the Keiler and early Leopard 2 tanks - into series production with the German Leopard 1A3 tank in 1973. The cut-out section of a Leopard 1 turret side wall shows the spaced armor. Other armored fighting vehicles have been fitted with spaced armor aswell. The original M2 Bradley used spaced armor in some places - e.g. 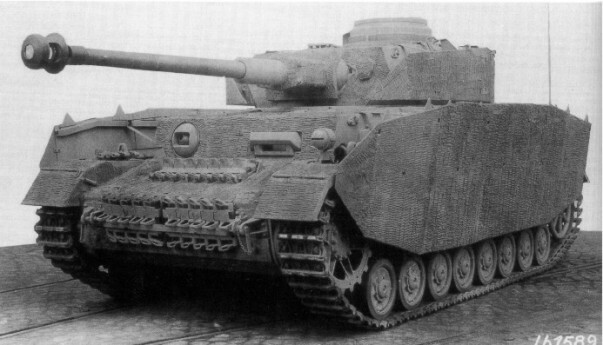 the side skirts consisted of two 6.4 mm thick steel plates, which like the Panzerkampfwagen IV's Schürzen should make 14.5 mm AP rounds tumble. The Marder 1A3 has been fitted with spaced armor for protection against 30 mm AP(DS) ammunition - at the upper front plate it has a thickness of about 5 - 10 mm and might be made out of harder steel. The list of modern armored vehicles utilizing spaced armor for protection against AP ammunition is very large and includes vehicles such as the Boxer, several armor upgrades for BTR and BMP, some versions of the Stryker, many different versions of the M113 and the AAV-7. 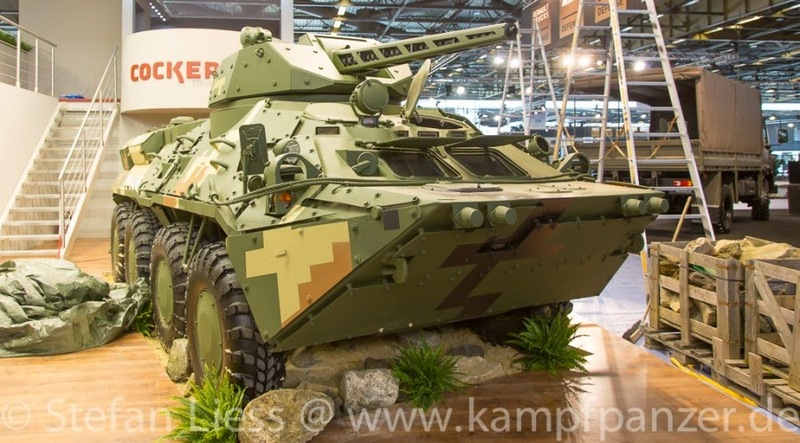 Ukrainian BTR with spaced armor for protection against HMG rounds. Spaced armor allows achieving a greater level of armor protection per weight, but it does increase the physical size of the vehicle at the same time. Very informative blog and detailed information on spaced armor. If a spaced armor allows greater level of armor protection, don’t we need something small and lightweight in this era? Can anyone tell me, what thickness the inner, outer, and roof plate on the Leopard 1A3 are? I am pretty sure Reactive armor is the one designed to deal with AP.